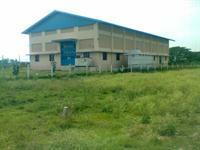 Looking for a property in Tiruvallur? Have a property in Tiruvallur? Tiruvallur, Chennai is rated 5 out of 10 based on 3 user reviews. Have a good knowledge of Tiruvallur? Share it and become a Locality expert. DTCP Approved Residential plots for sale at notable sites. Anbu Kamatchi Amman Nagar offers greenish plots for building your dream homes at the lap of nature with near to the amenities and accesses of the city. DTCP Approved Residential plots for sale in Thiruvallur.